If you are looking for an excellent criminal defense, you need to find an excellent criminal defense attorney. Here at The Kronzek Firm , we have attorneys who are highly rated, seasoned, expert attorneys who provide the best possible defense representation for the people of Corunna, Durand, Laingsburg, Owosso, and Perry. The attorneys at The Kronzek Firm have many years of combined experience defending the people of Shiawassee county against all kind of criminal charges. With experience comes a deeper understanding of the complexities of the law and an intimate knowledge of how cases like these are constructed. When faced with criminal charges, whether felony or misdemeanor, you are going to need an experienced and well-respected defense attorney working to defend you. At The Kronzek Firm, we are equipped to handle every aspect of your criminal case, ensuring that your rights are protected, and your case receives the best possible outcome. We have a very skilled and aggressive team of attorneys that uses every available resource, combined with tenacity and our many years of experience, to build a complex and unique defense for each client. We analyze all of the evidence, working together as a team to provide you with the best and most strategic defense possible. Investigations dig into your personal life and invade your privacy. For those who don’t regularly spend days in a courtroom, trials can be terrifying. We understand that. This is why we walk our clients through every aspect of their case, keeping you up to date on every choice, option, and possible outcome. We have the resources, the skills and the years of experience to build a strategic and creative defense During this difficult time, which is going to be frightening and stressful, you need the best. The best attorneys, the best defense strategy, and the best possible chance of getting your life back. We have spent years cultivating professional relationships with experts in a wide variety of fields, and we will do whatever it takes to make sure that your case gets only the very best of all the resources we have to offer. False accusations are terrifying. Just the words are enough to give anyone a serious case of the willies. Unfortunately, many people make the mistake of assuming that false accusations happen only in movies, or to “bad people” who are probably “guilty of something.” This couldn’t be further from the truth. False accusations happen regularly, for a variety of reasons. Sometimes it’s because an accused person wants to cut a deal with police, and they think offering up another name may get them off the hook. On occasion it happens because someone wants revenge against someone else, and so they lie about them. Some of these reasons are legitimate mistakes. Honest misunderstandings. But most are the result of selfishness, nosiness, paranoia, and even vindictiveness. 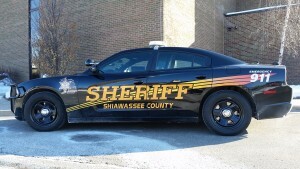 At The Kronzek Firm we have a long history of working with falsely accused individuals in Shiawassee County and getting extremely successful results. We’ve seen them all, cases overturned, charges dropped, and even mistrials. With dedication, perseverance, and tenacity, we can work to resolve this issue, and restore your life as quickly as possible. One of the many reasons our clients recommend us is because of our attitude. By that we mean simply the way we treat people. It is a standing policy at our firm never to treat our clients with disrespect. We never judge, never assume, and never treat our clients like criminals. We believe they are people who deserve to be treated with kindness and compassion. People whose lives are in disarray and who need a lot of help. 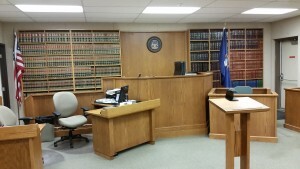 At The Kronzek Firm, we have dedicated our professional careers to building a reputation of ethical conduct and aggressive defense in the Shiawassee Courts. We are skilled at constructing creative defenses for our clients. We fight tenaciously to protect our clients rights both in and out of the courtroom. Choosing the right defense attorney is critical. If you or a loved one have been charged with a crime, or think you are about to be charged with a crime, call our experienced defense attorneys immediately. Our phones are answered 24 hours a day, seven days a week, and usually you are speaking to an experienced attorney within minutes. 35th Circuit Court 208 N. Shiawassee St.